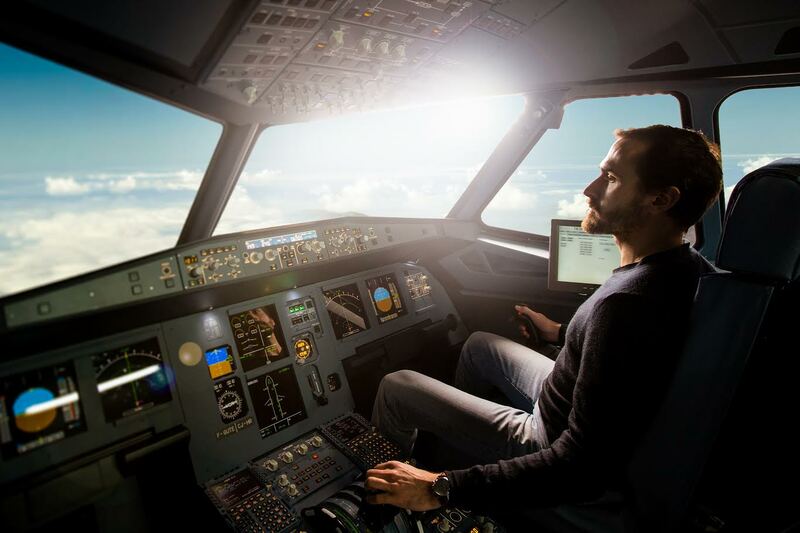 Choose the best equipment for professional pilots training! With our trainer friendly Large Jet Simulator FNPT II MCC simulator you will be able to provide specific training. It replicates accurately an aircraft cockpit and its flight characteristics, properly simulates the aircraft logic, the FBW characteristics. It has a working PFD/ND/FMA, well simulated ELEC/HYD/BLEED aircraft systems and a fully functional FMGS/FCU/ECAM. The operation of this simulator is not only easy but also has low operating costs. • ECAM, Engine Display, PFD, ND, etc. Train, stimulate and fly with your students like never before. The immersion in our simulator is complete and lets you fly like you never have before. 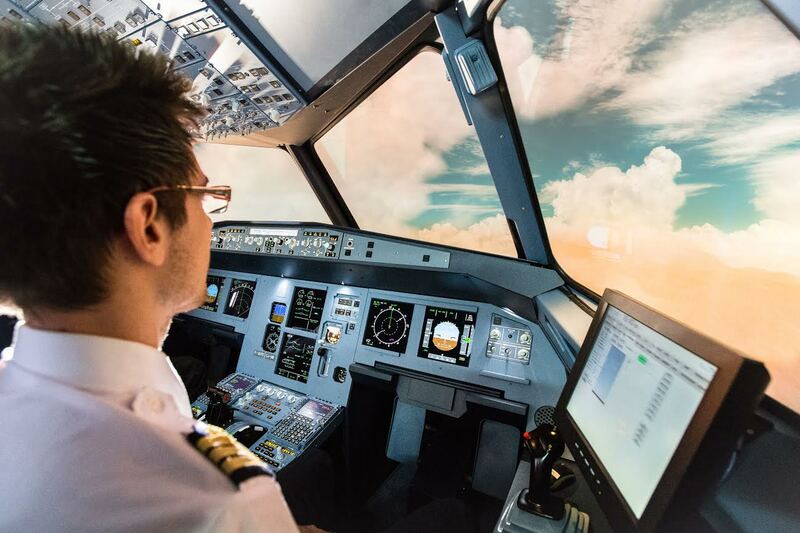 We give you the impression of being in the real aircraft and not just in a simulator. Improve your students’ communication skills, train them to complex Jet operations, a full range of failures and much more. From fire emergencies to pressurization problems, teach your students about situations they had only read about in books. 134 centers in France, Belgium, Switzerland and Spain with 35 simulators. Our simulator represents the best possible investment for Flight Schools, combining a competitive price and great return on investment. On site and remote maintenance available.